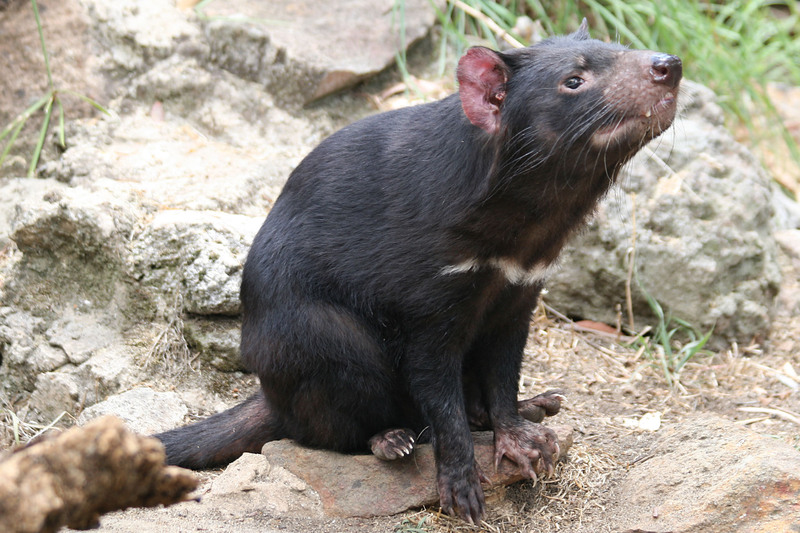 Since the deadly facial tumour disease that has ravaged Tasmanian devil populations in the wild was first observed over 20 years ago, scientists have puzzled over the circumstances that caused it both to emerge, and to spread so rapidly. Two studies published recently provide some insight and perspective on the increasing incidence of contagious cancers, and both have referenced DFTD in their research. A team led by Hannah Siddle from the Centre of Biological Sciences at the UK’s University of Southampton focused on the emergence of DFT2, (The Veterinarian January 2016). In this study researchers found evidence that the devils’ immune system appeared to be losing the ability to detect DFT2 cells, an indication this second cancer is evolving evasion strategies similar to DFT1, enabling it to circumvent the immune system and spread the disease more rapidly.“Losing these genetic molecules would really take the constraints off this tumour allowing it to spread very rapidly through the population,” Siddle said. While the study was small – analysing eight cancers from six devils – it raises questions about the emergence of a second transmissible cancer in the same species, especially in the context of an increasing number of species that are experiencing a reduction in their numbers, and therefore in genetic diversity, along with a loss of their natural habitats. “Although this could be very bad news for the devil, which maybe particularly vulnerable to cancers exploiting loop-holes in their immune systems, it’s a warning to how we manage all vulnerable species, particularly those confined to islands where disease is a real threat and can quickly do a lot of damage,” Siddle said. An essay by authors Brian Martin and Josephine Warren, published during August in the journal Research Ideas and Outcomes cites AIDS in humans, leukemia in soft-shell clams, and DFTD as examples that suggest human activity may be implicated in the emergence of new diseases. The essay examines a theory put forward by Mathieu Giradeau and Tuul Sepp, post-doctoral researchers at Arizona State University, who argue vested interests may influence decisions that involve research into alternative theories put forward about the emergence of disease. In the case of DFTD the scientists offer several examples that challenge the widely accepted research DFTD is a transmissible cancer spread through the animals biting each other, when the evidence for other plausible theories for the emergence of the cancers, such as the role of pesticides used in plantation forestry, have not been vigorously pursued. “The emergence of new diseases including novel cancers is a growing problem worldwide. The reasons for these problems are complex; habitat destruction, pollution, and climate change are all possible contributing factors. But in each of the case studies described it has been assumed these diseases are the consequence of natural causes. References: ‘Researching new diseases: assumptions and trajectories’ is available here and ‘Contagious cancers: a ‘devil’ of a problem’ is available here.